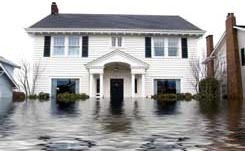 Water damage is one of the most common forms of damage to both residential and commercial properties. When a pipe breaks, a roof leaks, a washing machine overflows, or a rainstorm causes flooding, quick action can minimize damage to contents and structure. An immediate response is vital in the event of an emergency. AAS Restoration & Roofing is available 24 hours a day, 7 days a week with a staff of experienced, certified, and professionally-trained technicians to serve the Kansas City Metro area. The first step in getting your water or sewer damage resolved is to call AAS Restoration to put our full-service staff to work for you. Our services for water and sewer damage include extraction and pumping, mildew and bacteria control, state-of-the-art speed drying, and diagnostic equipment for testing water saturation. Whether damage covers 50 square feet or 500,000 square feet, whether it is your residence or your commercial building, AAS Restoration has the knowledge and expertise to remove the water and/or sewage and dry the area quickly and efficiently. Through the use of industry-proven drying techniques and tools, certified technicians set up and monitor the drying process through every phase. The moisture is thoroughly removed from deep within the walls, floors, and contents to avoid potential problems in the future. Environmental remediation is conducted and textiles are cleaned in the Esporta Wash System, which removes 99.997% of the bacteria.